As noted by my colleague, Terrible Records is having a banner year. 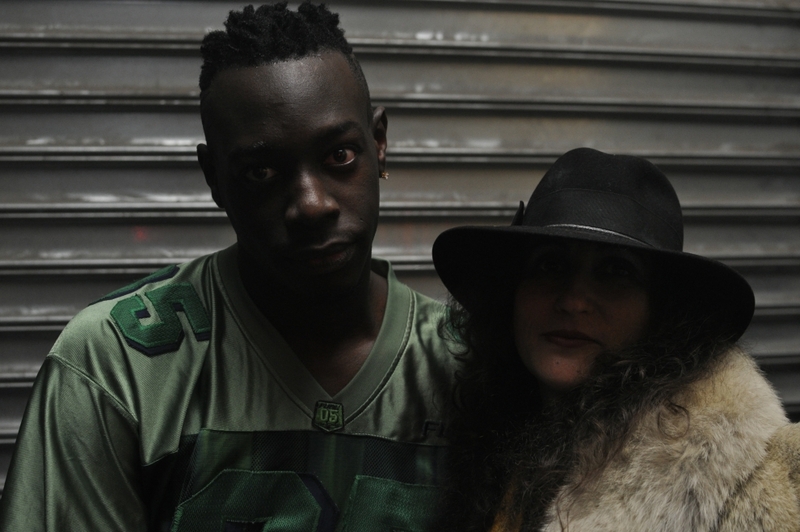 And you know it’s going to continue if their next record means the first official debut LP from longtime NY rapper Le1f. “Longtime” may be an over-statement, but Riot Boi has been in a state of anticipation for at least a couple years. The first few songs we’ve been given offer a highly-stylized version of Le1f’s trademark choppy, sexual flow. All of the released singles also showcase some heavy-handed producers, including SOPHIE on “Koi” and Balam Acab on “Rage”. Now comes “Umani/Water”. I got this beat from Lunice, and I was really inspired to make a song dedicated to my friend Juliana Huxtable. There was a lot of talk in political media, as well as clickbait, about transgender issues. Feeling like I wasn’t educated and sensitive enough to trans issues, I wanted to correct that for myself, so I delved a bit more into educating myself on the struggle and a lot of the issues that are happening in the trans community. You know, really just knowing the names of victims and all this transphobic brutality and assaults. It’s a multi-faceted issue and also a beautiful thing. I felt that I needed to do that because so many of my favorite people are trans, particularly Juliana Huxtable. She’s one of my favorite artists in general. It came around the time where she had that amazing series of pieces and collaborations in the Whitney Biennial. She attended Bard College and booked me for some of my first shows, before I put the “1” in my name. We’ve been friends for a really long time, so to see her transition into the most amazing human being…I just wanted to make a song that would make her the most proud, and would be helpful for the trans community at large but also my friends who are trans. Riot Boi will be released November 13 via Terrible. You can stream “Umani/Water” below.